Group Products - Website of smartourism! This new page combines all products that are suitable for GROUPS of the Smartourism members. So if you have clients that are interested in these products, it's all right here on this page! Great for the small groups (up to 16 for the boat trip to 10 for the Explorer 4x4 trip)! Click here to check for trip options. Local guides will help you to explore the breath-taking landscapes of Middle Earth, Glenorchy and Paradise during this half day Lord of The Rings inspired tour. 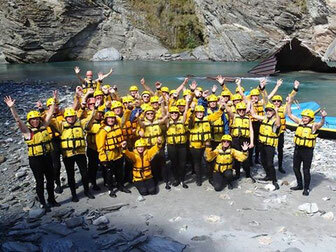 Our unique trip takes around about 5.5hrs and is a combination of a sightseeing trip by bus or van (a 45 min drive into Skippers Canyon, one of the most scenic roads in NZ), and raft on the upper Shotover River. The on-river trip is pretty gentle, we are only rafting on grade 1 & 2 rapids. This means that any water that sloshes into the raft, does so without violence or force. In fact, water confidence is not necessary. We do stop along the way on the river and adults and kids who want to, can try the various rock jumps into the river, and swim in the river. The trip definitely falls into the “soft adventure” category, it is NOT your average SCARY raft trip that you would experience on higher graded sections of the river. This is why our trip is so suitable for groups because there is no physical ability to be able to swim or be brave, so it really is suitable for everyone. We are the only rafting operator in Queenstown who takes children under 13 years on the Shotover River. Suitable for non-English speakers yes/no: We have safety instructions in multiple languages – but only English spoken. Lunch options at a range of prices are available. Team building exercises and low ropes course is also available at additional cost. For more information on Family Adventures, click here. 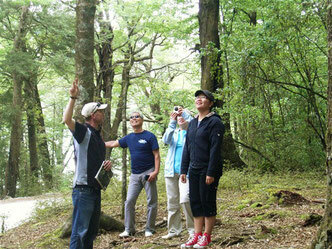 Name of product: BIRDING BONANZA a birding/wildlife trifecta smorgasbord in one package on Stewart Island: Kiwispotting evening twilight cruise, forest birding on Ulva Island Bird Sanctuary, then pelagic/seabirding ocean trip. 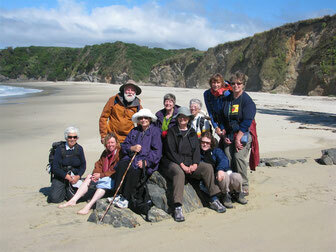 Minimum of two night stay on Stewart Island. Other information: All land activities held in pest/predator-free environments; Ulva Island Bird Sanctuary as well as Stewart Island kiwispotting area. For more info on Ulva's Guided Walks, click here. Suitable for non-English speakers yes/no: Not Really. As the commentary is in English, some English would be helpful! Other information: Welcome Rock Trails prides itself on being a premier private hiking and mountain bike trail that offers historical and ecological guidance. Here you will find a hand built trail located within remote, native, high country farmland that is cloaked in stunning scenery. 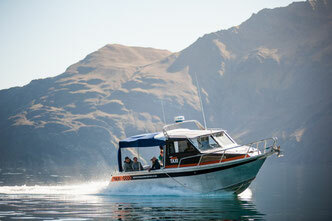 We are easy to get to and you will find us after a quick one hour drive from Queenstown. At Welcome Rock Trails you will find a truly unique Southern pioneering adventure. A day out of Queenstown with our experienced, local guide will enlighten those with a keen sense of adventure, culture, place and preservation. Click here for more info on Welcome Rock Trails. Suitable for non-English speakers yes/no: No – but if you have requests for translators we may be able to find one. 3 wineries, generally visiting one larger well-known winery and two boutique style wineries. An underground wine cave tour & tastings gives you inside information about our great wines and the Central Otago wine industry. Tours can range from two hours to full days, hosting 2 to 40+ guests. 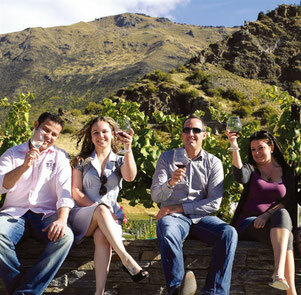 We specialise in the Gibbston Valley, Arrowtown and Central Otago regions. For guests who want to relax and be pampered we will create a combination of leisure activities for you to consider. Designer Days will ensure your clients return home rejuvenated and inspired, with happy memories of the best that Queenstown has to offer. Wine tasting, winery lunches or dinners. Cheese tasting or wine and chocolate tasting. Contact us with your requirements and we will put together an itinerary and pricing for you to consider. We have a concession to guide all over the Wakatipu Valley and we are the only Queenstown Company to be licensed to guide (and teach), in the Queenstown Bike Park. 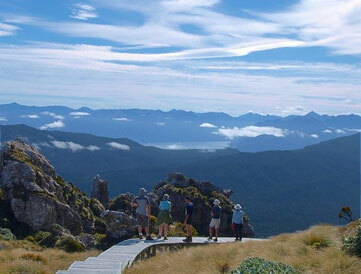 We can provide private guides for The Queenstown Cycleway trails. We also have the largest bike fleet in Queenstown and can provide whatever category of MTB hire that you require including Pro Spec DH & Enduro bikes. We also operate our own shuttle to access some unique alpine single track, or provide a bike taxi service for the Queenstown Cycleway Trails. We also have our own Mountain Bike School, and our qualified PMBI guides/instructors have skills clinics at all levels. Ideally group size is 5 or less riders. Minimum/maximum size of groups: We have the largest bike fleet in Queenstown and when required we can hire-in bikes from other shops to accommodate groups for more than 80 riders. We are able to transport large numbers of bikes to a specified location to meet groups who would require their own transport to the meeting point. Suitable for non-English speakers yes/no: Only English spoken. Price is for groups of up to 5 riders. Bike rental and gondola pass are additional cost. Minimum number of riders is 5 per group. Only suitable for experienced intermediate and advance riders. Bike Trailer transport available - poa. All of our products could be ‘group products’ we offer a 10% discount for a group of 8 or more on any package (walking component only). We also can do different days for the prime packages and guided walks other than Thursdays and Fridays for groups of 8 or more. For more detailed information on the Hump Ridge Track, click here! Radfords on the Lake is a 5 star Qualmark rated property right on Lake Te Anau. They were recently awarded: Fiordland Operator of the Year 2015! 14 spacious units, maximum of 40 guests. For more information on Radfords on the Lake, click here.